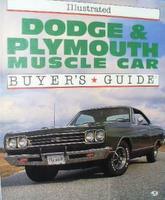 Plymouth car books include the history and development of Plymouth automobiles. Plymouth (founded 1928 - dissolved 2001) was a marque of automobile marketed by the Chrysler Corporation and Daimler Chrysler. Plymouth Commercial Vehicles: Photo Archive by Jim Benjaminson (1990). 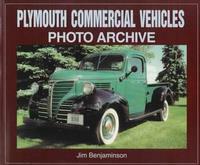 The only pictorial archive to feature the commercial vehicles - including both passenger and truck chassis units - of Plymouth. Quality photographs chronicle all the commercial application units built, from the earliest taxis that were based on passenger car chassis, to sedan deliveries and utility sedans (including wood-body station wagons), to truck chassis-based pickups, panel deliveries, wagons and cab-and-chassis units. As an added bonus, production figures, prices and accessories available for the models are also included. Illustrated Plymouth & Desoto Buyer's Guide by Jim Benjaminson (1996) spotlights all the collectible cars and trucks from these companies. Filled with over 200 black and white photographs, this book evaluates each mode, year by year. Plymouth 1946-1959 by Jim Benjaminson (1994). Thoroughly researched history with model-by-model changes and technical specifications. Plymouth And DeSoto Story by Donald Butler (1978). 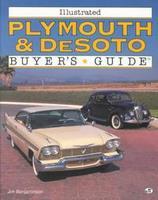 Plymouth and DeSoto are combined in this book because they were developed together, introduced in the same year, and remained closely related. Domestic Fargo models were included for similar reasons. Plymouth Muscle Portfolio 1964-1971 by R M Clarke (2003). This story of Plymouth's muscle cars told through road tests and contemporary articles. Fully reported on are the Barracuda with the formidable Formula S package plus the Belvedere Satellite, GTX and Road Runner. Also covered are the Duster and Sport Fury and the legendary V8 Hemi and Magnum Power plants. Included are full specifications and performance data. 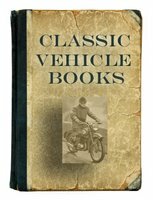 Valiant 1960-1962 by R M Clarke (1991) contains a collection of road tests, comparisons, new models, specifications, owner's reports, racing wagon, V100, V200, Signet, Automatic Plymouth, R & S Series and Chrysler. 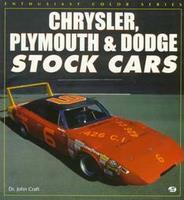 Chrysler, Plymouth & Dodge Stock Cars by John Craft (1997). Chryslers, Plymouths and Dodges from 40-plus years of NASCAR racing are featured here in full colour, including "Strictly Stock" cars that raced on the sands of Daytona Beach in the 1950s and superspeedway rockets of modern-day legends such as "King" Richard Petty. Roadrunner A Source Book by Samuel Shields (1983). History of one of the great American supercars, from the first Roadrunner (1968) through to the last one produced in the late 1970s. Covers the GTX, Sebring and Satellite models. Fix Your Plymouth: All Models 1966 To 1952 by Bill Toboldt (1966). Plymouth owner's and mechanics handbook of repair and maintenance. Various years available. 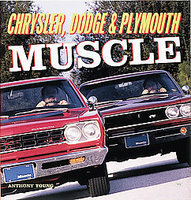 Chrysler, Dodge & Plymouth Muscle by Anthony Young (1999). Covering nearly 50 years of Mopar muscle, this book is the definitive history of Chrysler's hottest cars. Plymouth Six Instruction Book 1932 for cars after serial number 1,759,001. Operation, care, adjustments, repair operations and more.